The Lochay Power Station in Killin, Scotland, has had its hydro generator refurbished by Sulzer, which combined the skills of the local service centre in Falkirk and the coil shop in Birmingham to improve the design and construction of the generator to increase output and efficiency. 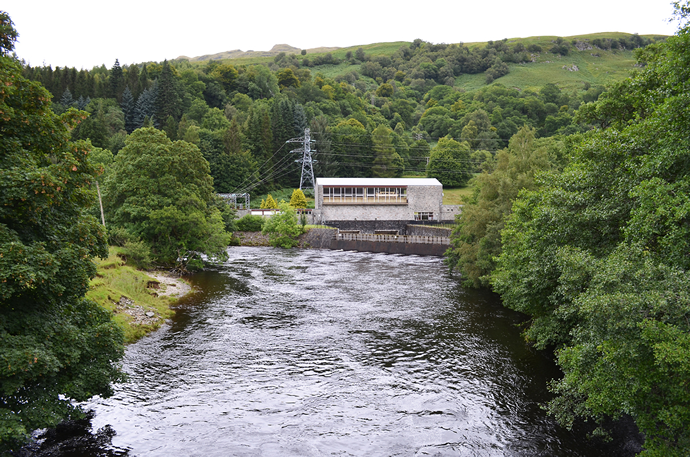 The power station is located near to Killin, Stirling, has a total capacity of 47MW and is part of the Breadalbane Hydro scheme. The two main generators are English Electric 22.5MW units, which were commissioned in 1958. 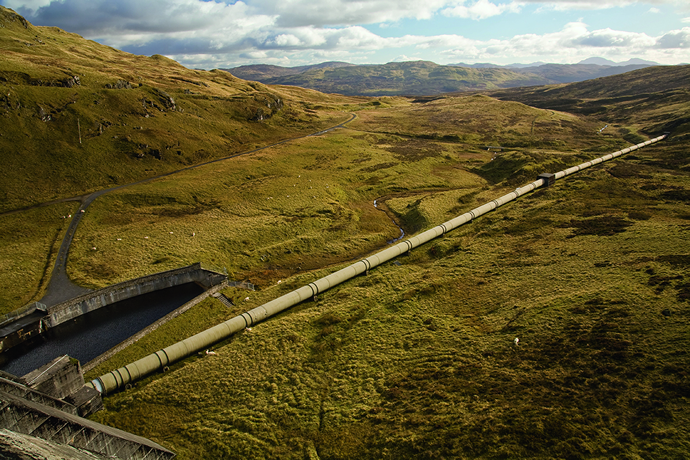 The remaining 2MW are produced by a smaller Pelton turbine, which uses the compensation water that is released into the River Lochay when the main sets are not running. In 2012, one of the generators started to exhibit some noise and vibration issues, and SSE, the owners of the installation, called in the specialists from Sulzer’s Falkirk Service Centre to dismantle the generator and investigate the cause. The stator design was slightly unusual in that it was built in two halves and bolted together on-site, primarily because of the difficulty in transporting and moving the materials to the remote location during its construction. The investigation found that the stator core had a gap in it due to movement and the erosion of the insulation. When the generator started-up from cold it would vibrate until it reached an operating temperature of around 50°C, when the core would lock together and the vibration would cease. More recent energy demand in the area had seen the usual continuous operation of the generators being replaced with more frequent start and stop operation that was exacerbating the situation. Work began in 2015 to dismantle the generator again and start the complete repair process which would see design improvements that in-turn would deliver enhancement to its performance. Using the on-site lifting equipment, the 56 tonne rotor was removed to allow access to the stator and its windings which would be removed along with the stator core. The whole project was coordinated and run by the local service centre in Falkirk but involved the skills and expertise from other key service centres including Birmingham, where the design improvements for the stator and coils were created. The first of these was the creation of a new one-piece core that would replace the original two-piece core. The site engineers completed the laborious task of rebuilding the core using over 30,000 plates to create the new lamination segments. Each segment was manufactured from a grade of magnetic steel which provided a ten percent reduction in losses when compared to the material used in the original construction. The installation process involved the construction of a ring of plates around the stator frame to allow 22 hydraulic jacks to be used to pressurise each set of laminations and to remove any air pockets. The cylinders were connected to multi-port manifolds to ensure that the same pressure was applied equally around the lamination packs. Although a time consuming process, it was essential that the construction of the new core was of the highest quality to ensure the reliability of the generator when it was returned to service. The new core was tested utilising a hire generator to provide sufficient power. The core flux test parameters were recorded and the temperatures recorded using a thermal imaging camera, which together determined that the core was in excellent condition. Following the assembly of the new core, the engineers used a high precision laser measuring device to create a complete 3D engineering drawing of the stator that was used to help create the new windings and ensure a perfect fit. The new coils have been redesigned by the technical team at the Birmingham Service Centre to account for the considerable improvements in insulation technology that have occurred over the past 60 years. The insulation class has been improved from class B to class F and the reduced thickness of insulation has allowed the volume of copper in each winding to be increased by approximately five percent. The new design must also withstand the high specifications required of coils destined for hydro applications and subjected to more frequent start/stop sequences. While the 126 new coils were being manufactured in Birmingham, the Falkirk Service Centre reinsulated the 12 rotor poles, again using the latest class F insulation, in order to provide consistent durability throughout the generator. At the same time the Falkirk engineers also rewound the DC exciter train ready to be reinstalled once the stator coils were all in place. Once the new stator coils started arriving on-site the process of rebuilding the stator continued, with all of the coils being carefully positioned and wedged into place before the first round of high voltage tests was completed. After completing the coil connections and another round of HV testing, the generator was turned into an oven by sealing the unit and installing heaters before varnish was applied to the coils and baked in-situ. As a result of the improved design and the use of the latest insulation technology, the power factor of the generator has improved from 0.8 to 0.85 while the overall output has increased by 15%, from 22MW to 25.6MW. Furthermore, these improvements and the physical assembly of the stator will rejuvenate and greatly extend the working life of the generator.